In the third of four flavors from the Sic Drip line from Sicboy, the Filth is a unique contrast to what is displayed with the other two flavors we took a look at previously. Packaging: As with the other “SicDrip” flavors, this one has the familiar flame background (this time in a blue hue) with SicDrip and “The Filth” listed in the center of the label. Towards the bottom is our friendly neighborhood FDA warning label!! Thankfully this one has a brief synopsis of the flavor profile on here, so there is no confusion as to what you’re grabbing from your collection. The left side of the bottle lists all the warnings, including Prop 65. Right side lists ingredients, and the icons for No One Under 18, recycle, etc. Flavor: How do you describe a huckleberry? It’s a cross between a blueberry and a raspberry. Sweet and tart, full bodied finish, and that’s what you get with this. The creamy base is obvious through the whole bottle (and it does strongly resemble a milkshake). The inhale peaks at a tartness and rides down a sweet wave through the exhale. If you like dessert flavors but want to dabble with fruits, this would be a very high recommendation. All of our bestselling Sicboy e-juices in one convenient bundle – this three-pack features some of the best dessert blends available today. From fruit pastries to decadent ice cream creations crafted with care, this Sic set is custom-made to crush your craving for sweets. Cloud Production: Sure, this gunks up your coils. But what awesome tasting juice doesn’t?! 70VG/30PG, its perfect for your RDA. Clouds sustain pretty high volume and density. I was not disappointed with this one. 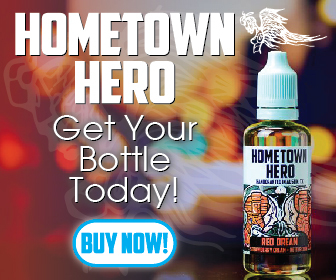 You can check out this incredible juice with many others at Giant Vapes. Click the banner below to check out their huge selection, and support this website. Use the code “GV10” to save 10% off your order! I absolutly loved this one. Theres very few juices i like now and days this was one. The flavor profile is correct. I agree if your a dessery lover wanting some fruit this is it. 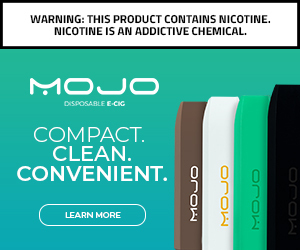 Previous Previous post: Save big on these Ultimate Vape Deals!